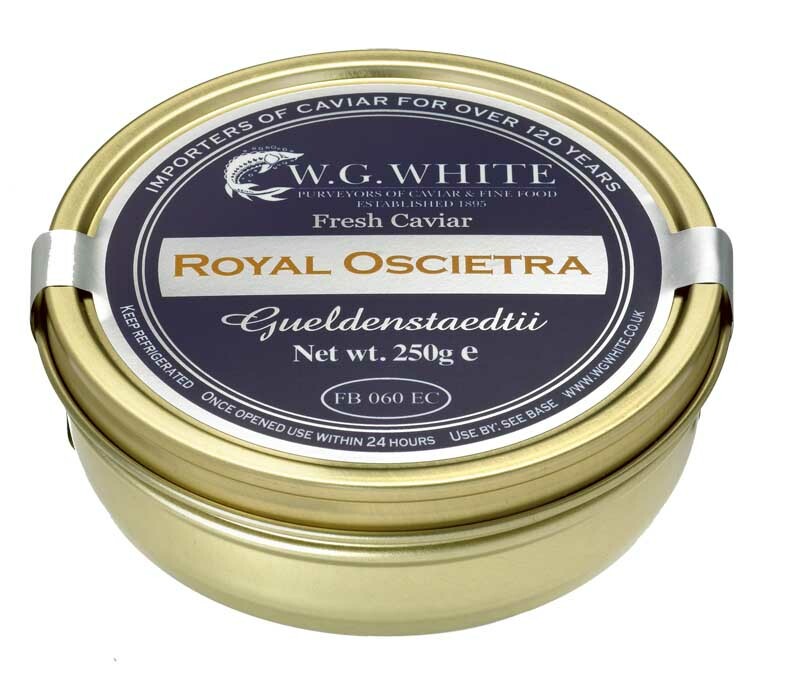 Royal Oscietra is considered to be one of the most refined and popular caviars for taste. 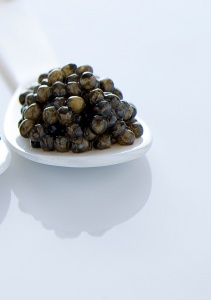 Characterised by a firm golden to dark brown egg it ha s a mellow nutty flavour and egg size of between 2.6 - 2.9mm. Originating only from fully mature 11 - 12 year old gueldenstaedtii. 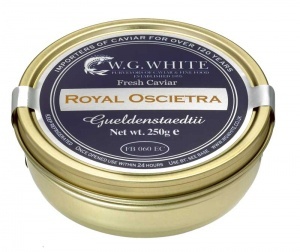 Our 250 gram tin is sufficient for around 8 x 30g servings and will be sent to you next day delivery in a chilled packaged in a presentation Gift Box to ensure it remains as fresh as possible.